Casual lunch menu available from Monday- Saturday; on Sundays we serve an a la carte menu. Our menus change based on fresh seasonal produce and the best ingredients we can get. We can accommodate most dietary requirements. Please inform us of any serious allergies. A discretionary service charge of 12% will be added to tables of six or more. 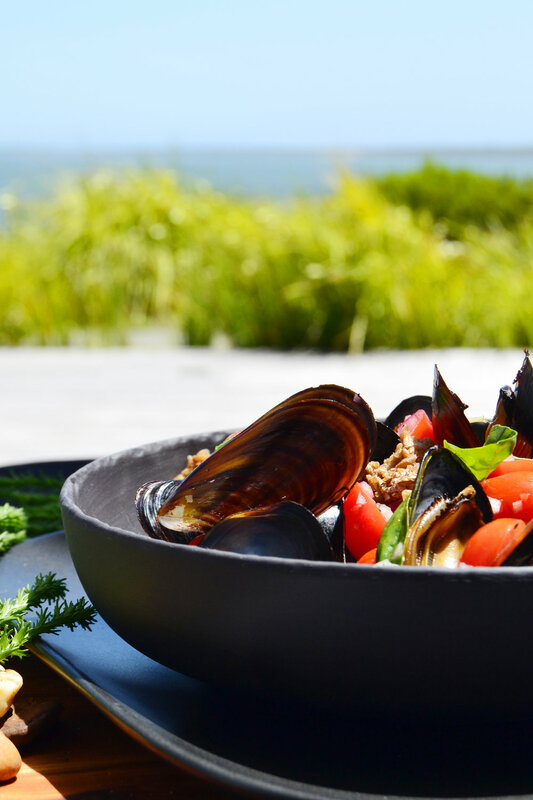 The Hermanus restaurant, Moody Lagoon is set in the heart of the Benguela Cove winery complex. The restaurant is in an elevated setting with expansive views of the lagoon and the Atlantic ocean. The kitchen is the domain of Annie Badenhorst. A talented young Namibian chef with a passion for finding only the best fresh produce and creatively turning dishes into simple but creative menu items. You can expect outstanding views, a casual and relaxed daytime eatery in the harmonious Hermanus. With outdoor covered seating areas. 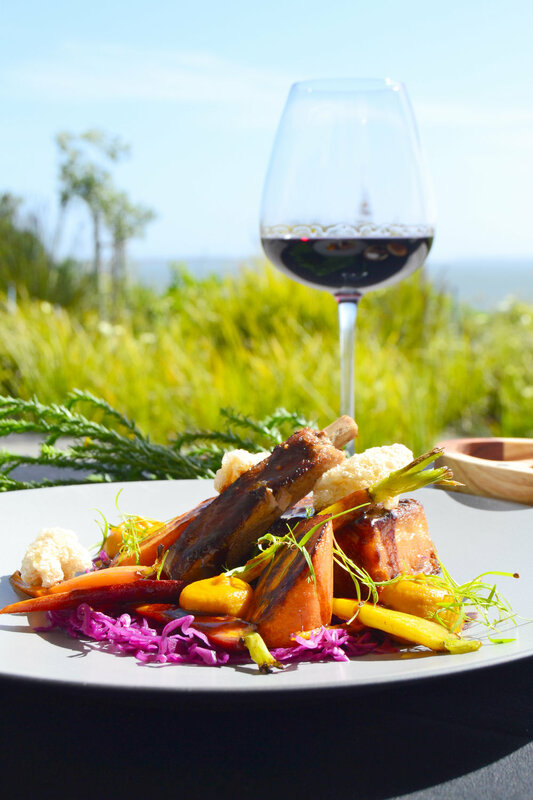 We offer our guests a choice of delicious dishes, paired with sensational wine from Benguela Cove’s Winery. In the evening, Chef Badenhorst likes to cook to create a memorable occasion. This delightful Hermanus restaurant is the perfect place for a date night or a night out with friends.